Use a cell phone? Please read this now! 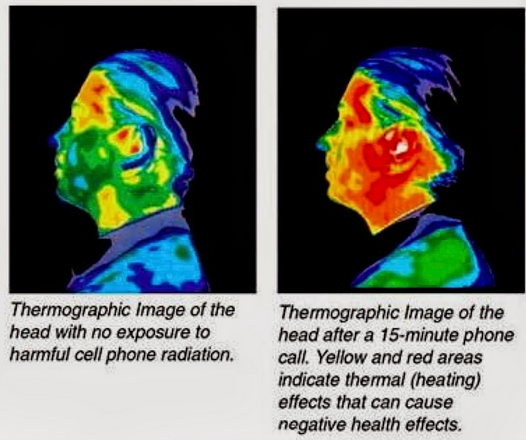 The website http://www.thrivemovement.com/ has a recent post on the cell phone safety issue that is a must read for everyone with a cell phone. Here’s the introduction to the post by Kimberly Carter Gamble. Please note that when it suggests a wired headset for a cell phone, the best type of wired headset is an air tube headset and when speaking from a landline, use a traditional landline with a cord, as cordless DECT phones were shown in one study to have similar cancer risks to cell phones. NB: While you can keep yourself safer by following the advice on the infographic, ideally cell phone use should be minimised as the more people who use cell phones, the more cell phone infrastructure is needed to support the use of the phones, and cell phone towers themselves appear to be a cancer risk.